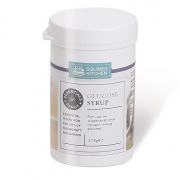 Piping Gel and Liquid glucose are essential ingredients for use in sugarcraft. 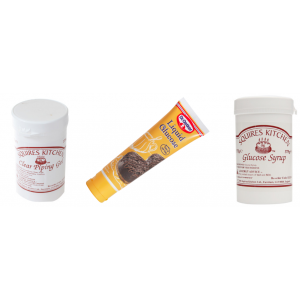 If you are making your own sugarpaste and chocolate modelling pastes, making royal icing for piping extension work or water droplets on flowers, these are a must. Loving Everything To Do With Sugarcraft! If you are making your own sugarpaste and chocolate modelling pastes, or you are making royal icing ..
A clear gel for use in sugarcraft. Add to royal icing for use in brush embroidery techniques. Perfec..